There are various types of Cancer Treatment Available in India depending upon the diagnosis of the condition and its current stage. The most commonly used cancer treatments in India are Surgery, Chemotherapy, Radiation therapy, Stem cell transplant, Hormone Therapy, Immunotherapy, targeted therapy, and precision medicine. Your surgeon might include one or a combination of two or more treatments from the above series to treat cancer in your body. 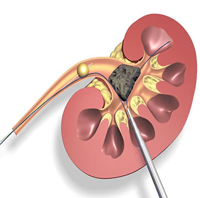 The common cancer treatments which generally the surgeons use are radiation therapy, chemotherapy, and surgery. With the advancement in medical science, the latest Cancer Treatment Available in India is CyberKnife Surgery which is a non-invasive and pain-free robotic radiation therapy with no side effects. 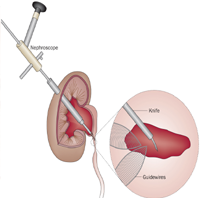 a) Surgery: Surgery is a procedure in which your surgeon will remove cancer from your body by using small thin knives called scalpels, and other sharp tools which they use to cut your body during surgery. While performing surgery your surgeon will put cuts through your skin, muscles, and sometimes bone. After surgery, you might experience some pain due to these cuts and it will take some time to recover from. b) Radiation Therapy: While performing radiation therapy your surgeon will use high doses of radiation to kill cancer cells and shrink tumors. Your surgeon gives high doses of radiation it will slow down their growth by damaging their DNA. Cancer cells whose DNA is damaged beyond repair will stop dividing or die. When the damaged cells died they are broken down and removed from the body. c) Chemotherapy: In chemotherapy, your surgeon will use drugs to kill cancer cells. This is a therapy which is used to cure cancer and to shrink tumours that are causing pain and other problems. d) Immunotherapy: Immunotherapy is a treatment which helps your immune system to fight with cancer. Your immune system helps your body to fight against any infections and other diseases and this is made up of white blood cells and organs and tissues of the lymph system. Immunotherapy is a type of biological therapy which is made from living organisms to treat cancer in your body. e) Targeted Therapy: Your surgeon performs targeted to targets the changes in cancer cells that help them grow, divide, and spread in other parts of your body. Most of the targeted therapies are either small-molecule drugs or monoclonal antibodies. f) Hormone Therapy: Hormone therapy is a treatment which surgeons perform to slow or stops the growth of breast and prostate cancers that use hormones to grow. Hormone therapy can lessen the chances that cancer will return. It also uses to reduce or prevent symptoms in men with prostate cancer who are not able to have surgery or radiation therapy. g) Stem Cell Transplant: Stem cell transplants are procedures which are used to restore blood-forming stem cells in the patients who are dealing with cancer and the patients whose stem cells are destroyed by very high doses of chemotherapy or radiation therapy. Red blood cells are the cells that carry oxygen throughout your body. White blood cells are the cells which are part of your immune system and help your body to fight against infections. Platelets which is helpful in the blood clotting. h) Precision Medicine: Precision medicine is an approach towards patients which allow the surgeons to select treatments which are most likely to help genetically based patients. This may also be known as personalized medicine. This precision medicine is not new; however, recent advance studies in science and technology have helped speed up the pace of this area of research. 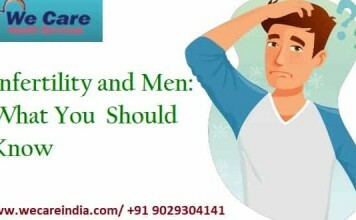 India is a country where the most common cancers amongst men are oral, lung and throat cancers and for women, it is breast cancer, cervix cancer, and ovarian cancers. It has been found that colon, prostate, and kidney cancers are also common types of cancers amongst the aged group. According to the study, the majority of cancer cases in India are that of oral cancers in men that has been caused due to excessive intake of tobacco or similar products. On the other hand, women are affected by breast cancer; uterus and kidney cancers that have been caused due to obesity issues and genetic issues. Cervical cancer occurs due to personal hygiene issues. 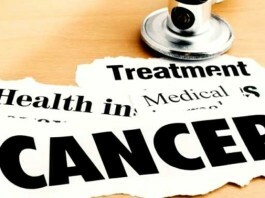 The major causes of cancers occur due to tobacco, obesity, etc. India is a country where we have highly qualified and skilled oncologists and cancer specialists who give their 100% to treat cancer in patients and allow them to leave a disease-free life. 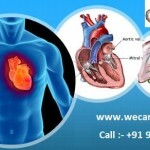 India is one of the best destinations for cancer treatment and the major factor is the cost of cancer treatment in India. 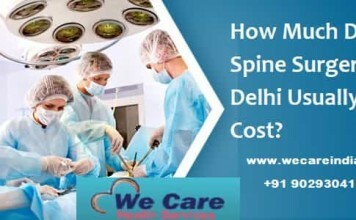 If you compare the cancer treatment cost in India with other developed countries then you find India is the most reasonable and affordable country and the cost of the cancer treatment is one-tenth in India as compared to other developed countries. The other reasons that people prefer India is due to globalization where we are getting the latest medications in India quickly. 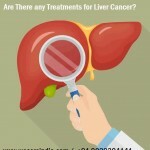 India not only has oncologist’s expert, but it is also equipped with the latest and advanced equipment and treatment facilities across all cancer hospitals in India. 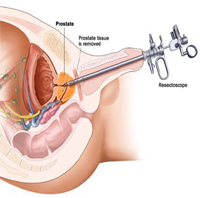 India is a country where surgeons are certified and have more than a decade of experience in treating cancers. Also, medical staffs are well-trained professionals. 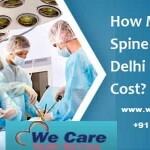 The cancer surgeons at the hospitals under We Care India are dealing with the most complicated cases of cancers. 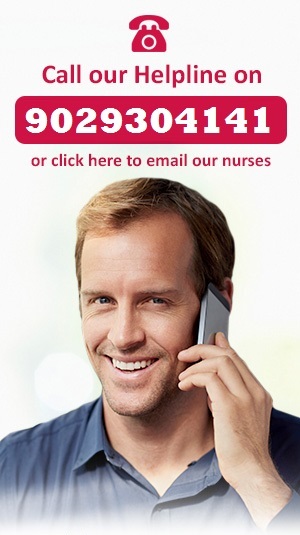 We Care India is a medical tourism company which has tie-ups with renowned cancer hospitals and it is a reliable destination for patients who are seeking a suitable and less costly option for recovery from cancer.